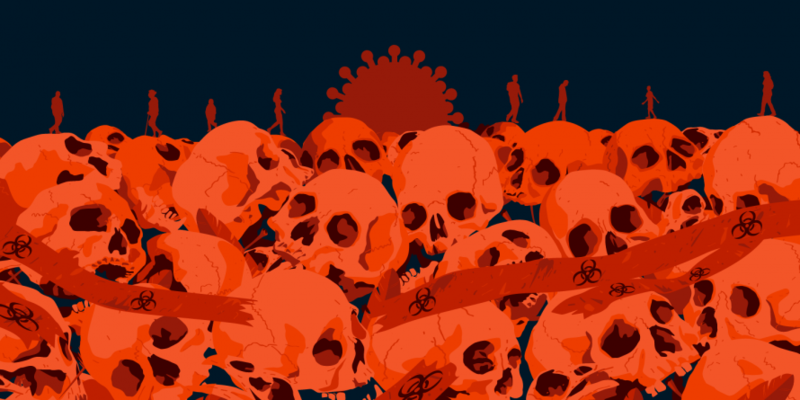 As far as existential threats to the human species go, pandemics rank near the top of the list. What's the probability of an agbressive, highly-fatal outbreak occuring soon? Is it high enough to worry about? And if one occurs, what can/should we do to protect ourselves and our loved ones? To address these questions, we interview John M. Barry, author of the award-winning New York Times best-seller The Great Influenza: The Epic Story of the Deadliest Plague in History. John was the only non-scientist to serve on the US government's Infectious Disease Board of Experts and has served on advisory boards for MIT's Center for Engineering System Fundamentals and the Johns Hopkins Bloomberg School of Public Health. He has consulted on influenza preparedness and response to national security entities, the George W. Bush and Obama White Houses, state governments, and the private sector. An often-overlooked part of the damage a virulent pandemic can do is its impact on supply chains and the economy. If you’ve got 20 to 30% of your air traffic controllers sick at the same time, what's that going to do to your economy? Most of the power plants in the United States are still coal powered. They get their coal, most of them, from Wyoming. You see these enormous trains – that's a highly skilled position, the engineers who move those trains which are a mile and a half long. Suppose they're out. You're not going to have power in many of the power plants. These are things that we don’t automatically think of as relating to a pandemic. Even a mild one that makes a lot of people sick without killing them will wreak an economic impact. In terms of the health care system, practically all of the antibiotics are imported. If you interrupt those supply chains then you start getting people dying from diseases that are unrelated to influenza that they would otherwise survive. We had a small example of that with saline solutions bags which were produced in Puerto Rico. Because of the hurricane, Puerto Rico was no longer producing them; so we had tremendous shortages in those bages after the hurricane. Other suppliers worldwide have picked up the slack, so that's not a problem today. But in a pandemic, you're going to have supply chain issues like that simultaneously all over the world. So you're not going to be able to call on any reserve, anywhere, because everybody's going to be in the same situation whether you talk about hypodermic needles or plastic gloves -- any of that stuff. The supply chain issues in a moderate pandemic are a real problem. If you’ve got a severe pandemic, the hospitals can't cope. There are many fewer hospital beds per capita than there used to be because everything has gotten more efficient. In this past year's bad influenza season, many, many hospitals around the country were so overwhelmed they all but closed their emergency rooms and weren't talking any more patients for any reason. There's just no slack in the system. What efficiency does is eliminate as much as possible what's considered waste, but that waste is slack. And when you have a surge in something, you need that slack to take care of the surge. If I were grading generously I would give us a D in terms of overall preparedness. If we had a universal influenza vaccine, maybe we'd be relatively okay, but we don’t. Click the play button below to listen to Chris' interview with John M. Barry (56m:47s).